For a phone that’s all about the display, it would have been nice for Lenovo to offer a full HD panel on the Phab 2. Even with the added price, the Xiaomi Mi Max makes for a much better buy. Consider the Phab 2 only if you want a phablet that costs less than Rs. 12,000. My first ever touch screen phone was the LG KP500 Cookie, and I remember looking at its 3-inch display in wonderment, for how big it was. I have with me right now, the Lenovo Phab 2, whose 6.4-inch display absolutely dwarfs my old Cookie. The Phab 2 is the cheapest of three new phablets launched by Lenovo, and costs pretty much as much as my LG Cookie did at the time. At Rs. 11,999, the two biggest competitors of the phone are its elder brother, the Phab 2 Plus, and the Xiaomi Mi Max. However, both of these phones are more expensive than the Phab 2. 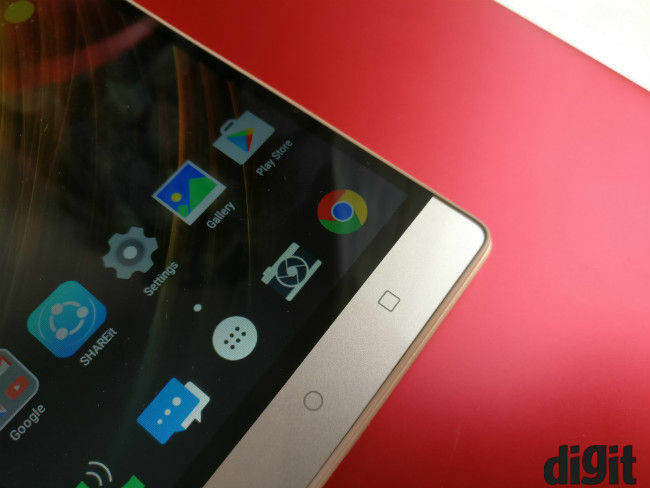 So, does this price difference make it the best phablet to buy? Let’s find out. 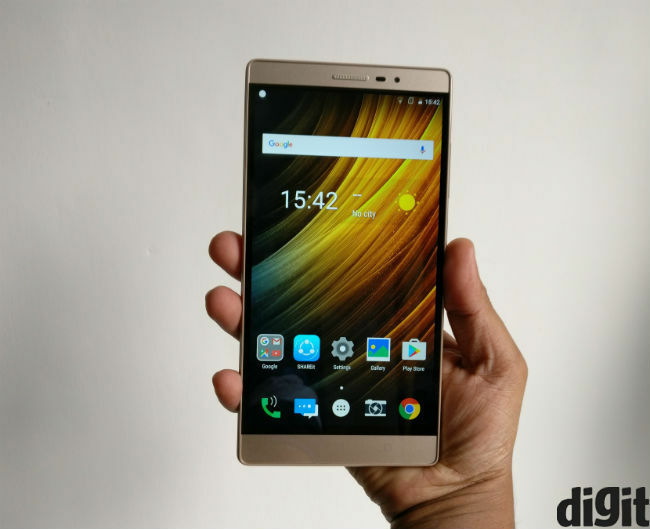 While the Lenovo Phab 2 Plus had a 1080p display, the Phab 2 gets a 720p panel. Spread over 6.4-inch, this results in a pixel density of about 230ppi. It isn’t very crisp and some icons appear fuzzy, while text can appear jagged. However, the responsiveness of the screen is good. Colour reproduction and contrast are average. However, the viewing angles aren't very nice, with noticeable colour shift at slight angles. The phone has a luminance rating of 363 Lux, which is really low, and the display will be percieved as dim. In addition, there's noticeable light leaks around the corners, which affects colour reproduction near the edges. You'll notice this with dark colours. However, sunlight legibility is just enough to work with, but not ideal. The Lenovo Phab 2 is big, but not what you'd call ugly. 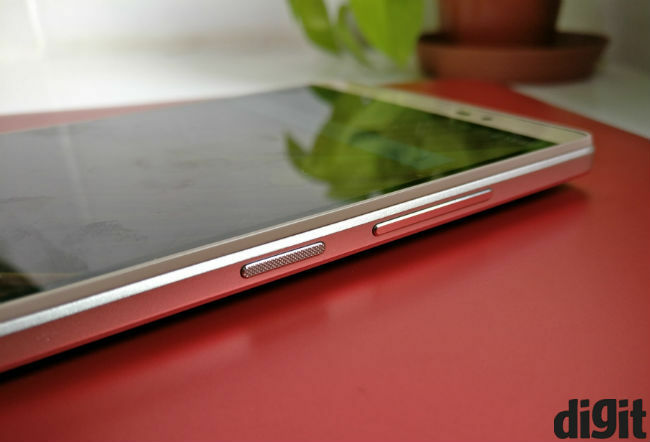 It resembles a big rectangle, and features a slightly curved back and chamfered edges. For what you can expect from its size, the Phab 2 actually fits comfortably in one hand. However, the corners aren’t very rounded. So when you hold the phone in landscape mode, they dig into your palm. Also, you will need both hands to operate the phone at most times. Unlike most other smartphones in this price range, Lenovo has opted to go with a plastic build instead of metal. However, this doesn’t mean that it’s not well built. The Phab 2 is quite sturdy and the physical buttons feel really nice to use. 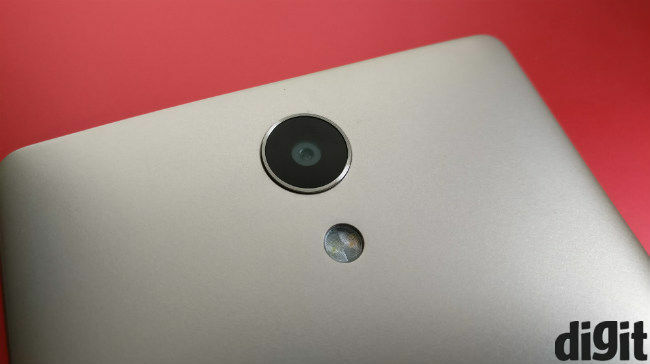 It should also be noted that the Phab 2 does not have a fingerprint scanner. The phone is quite large and weighs a hefty 227 grams. This is something you might have to consider if you like wearing tight clothing. Also, this is one of the heaviest smartphones you can buy right now, alongside the iPhone 7 Plus, Mi Max and more. Phones of this size aren’t built to be used with one hand. While there is a one-handed mode in the settings, it only works for the dialer and the lock screen passcode. So you really have no other option, but to use the device with both hands. While the Lenovo Phab 2 may be one of the biggest phones you can buy right now, it is not the fastest. The phone quad-core MediaTek MT8735 processor consisting of four Cortex A53 cores clocked at 1.3Ghz. You also get 3GB of RAM. It is comparatively slow, with slight framing issues while playing performance intensive games, like Injustice or Asphalt 8. Load times for such apps are quite high, though. 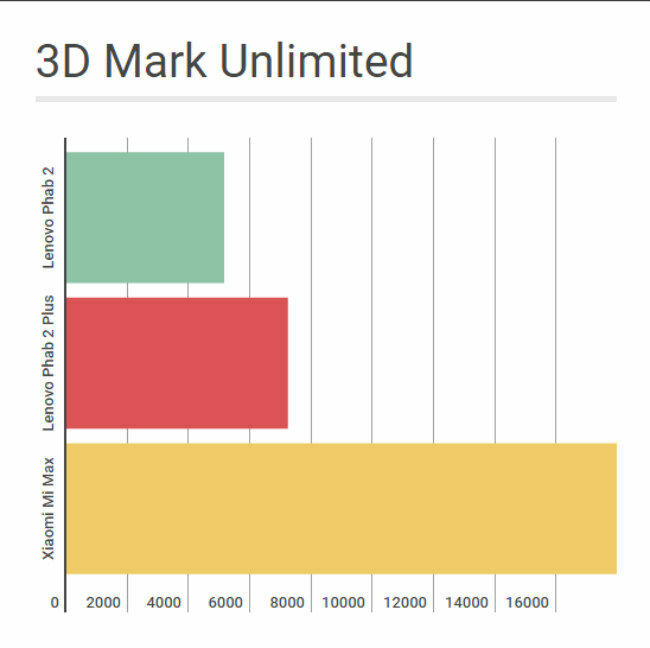 Synthetic benchmark tests paint a pretty accurate picture of the MediaTek MT8735, against the likes of the Qualcomm Snapdragon 650 that's found in the Mi Max. 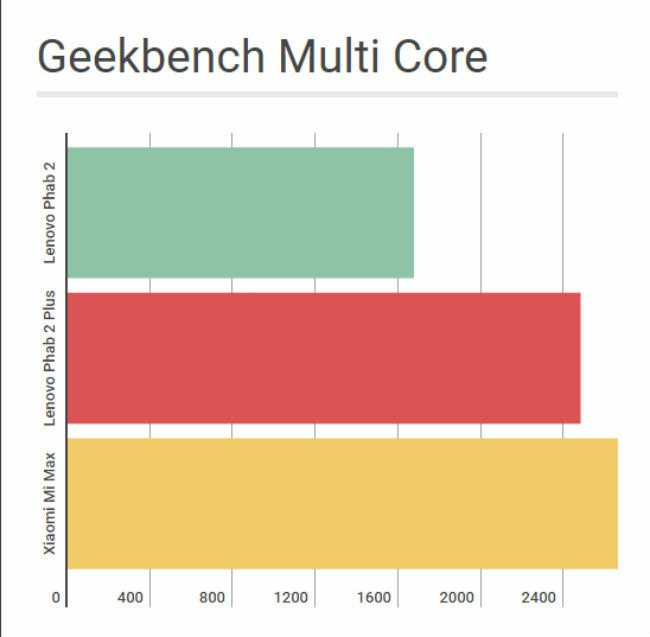 They're not often perfect representation of real world performance, but in this case, the difference is well represented. 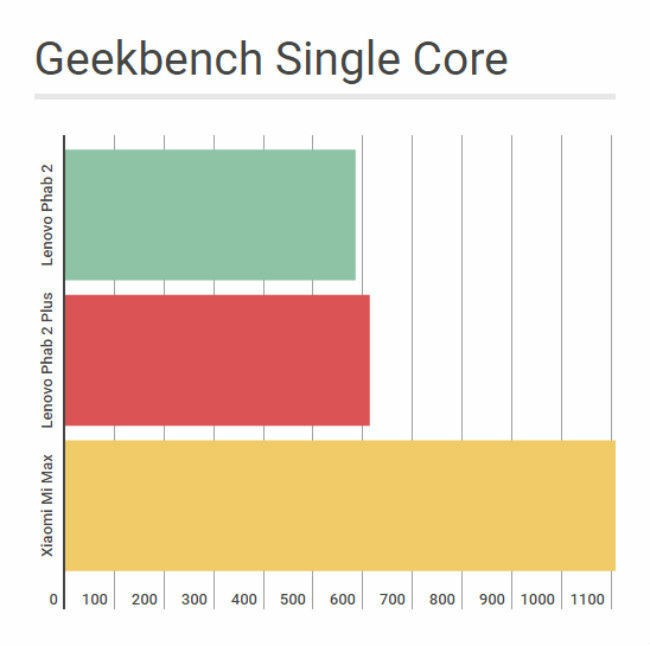 The phone is especially slow on single core performance, which is perhaps why apps take longer than usual to load. The Lenovo Phab 2 does not come with Google Tango like the Phab 2 Pro, nor does it come with dual-rear cameras like in the Phab 2 Plus. What you do get is a single 13MP rear camera with a dual-tone flash. At the front is a 5MP unit. Images taken with the phone seem consistently dull, regardless of lighting conditions. In daylight, colours seem dull with a hint of undersaturation. Details are low in most conditions, and the phone loses details in shadows, even under well lit conditions, as in outdoors. In low light, the image quality is quite poor with noticeable noise and poor colours, even if you're clicking on lit roads, restaurants etc. You also do not get a manual mode for taking pictures, a feature the Phab 2 Plus had. 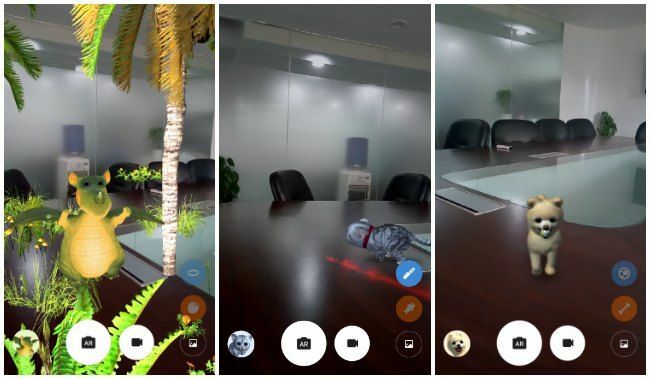 However, the AR mode is present, and it lets you put a fairy, dragon, dog or cat in the photo, and interact with it. While this is kinda cute (especially the dog), the novelty wears off really quick. It remains a gimmick at best. The phone comes with a 4050mAh battery, just like its elder brother. On our benchmark tests, it performed pretty well with a score of 8 hours and 30 minutes. However, during my 12 hour work day, which consisted of about an hour of music playback, 30 mins of gaming, and some browsing and texting, I had about 55-60 percent battery left. The display was kept at 100% brightness throughout. The phone can last you a day, but that may not be enough for a device this size. Considering that Xiaomi managed to stuff a 4850mAh battery into the similarly sized Mi Max, I personally can't help but feel Lenovo could have done something similar and added an even bigger battery to the phone. Size of course wouldn't matter, but the Mi Max can also last much longer. 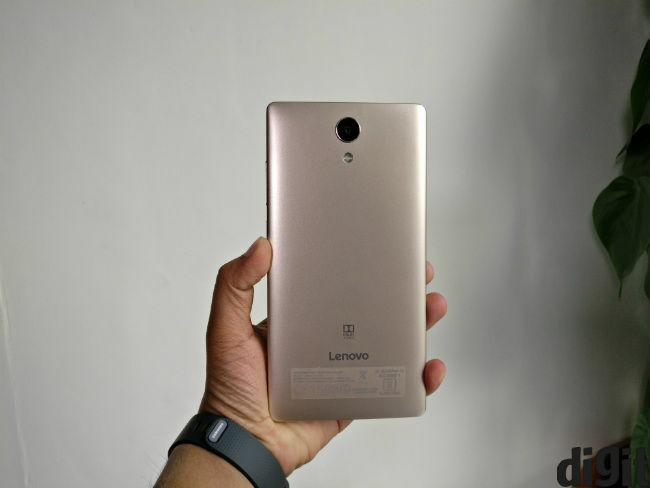 There is very little to like about the Lenovo Phab 2, aside from build quality. For a phone that’s all about the display, it would have been nice for Lenovo to offer a full HD display, instead of a 720p panel. Even with the added price, the Xiaomi Mi Max makes for a much better buy if you are in the market for a phablet. You should consider the Phab 2 only if you are adamant on a phablet and can't spend a penny over Rs. 11,999.